The Church Tour was amazing. A heartfelt thank you to everyone who attended and everyone who helped out. There will two more trailing dates in September and December, but after all that gravitas it’s time for something more upbeat. As much as I appreciate serenity, reflection and pensiveness, the happy-go-lucky bunny hopping around in my brain usually takes center stage. Which is a good thing. After thoroughly exploring the wonders of loopers, I wrote a happy song about procrastination. 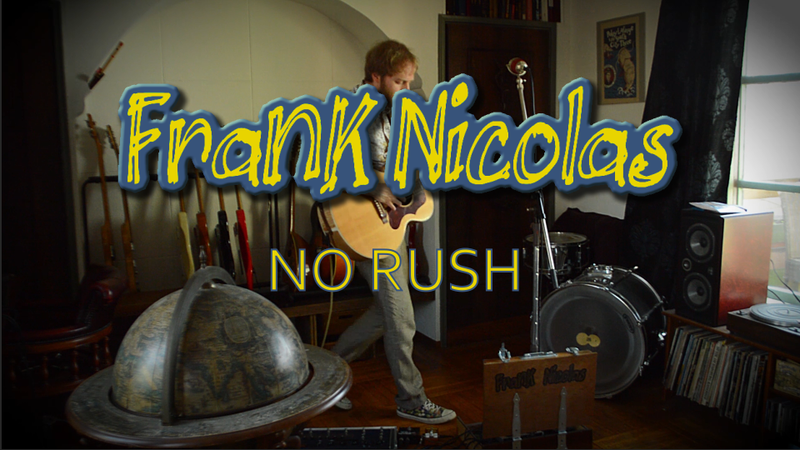 It’s called ‘No Rush’ and will be on my next record next year in some form or another. We’re all doing it. Chances are, you’re reading this while putting off something else. This was recorded in one single take on my loop station. No dubs, no cheating. Marvel at my ambipedal acrobatics. That jumbled mess of wires is my setup to enable stereo panning with a looper. If anyone is curious as to how I did it, leave a comment on the video. Maybe I’ll put up a video with an explanation. Lyrics are here.